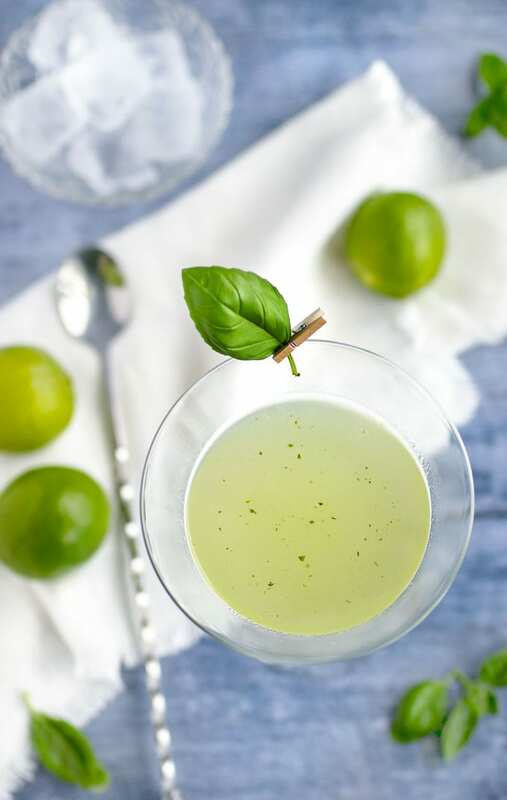 A gimlet is traditionally a gin drink made with lime juice and simple syrup, usually served with a wheel of lime on the rim. Vodka can be easily substituted and in fact, a vodka gimlet has become Lisa’s go-to cocktail. (By the way, this is Eddie, Lisa’s husband, guest-blogging). 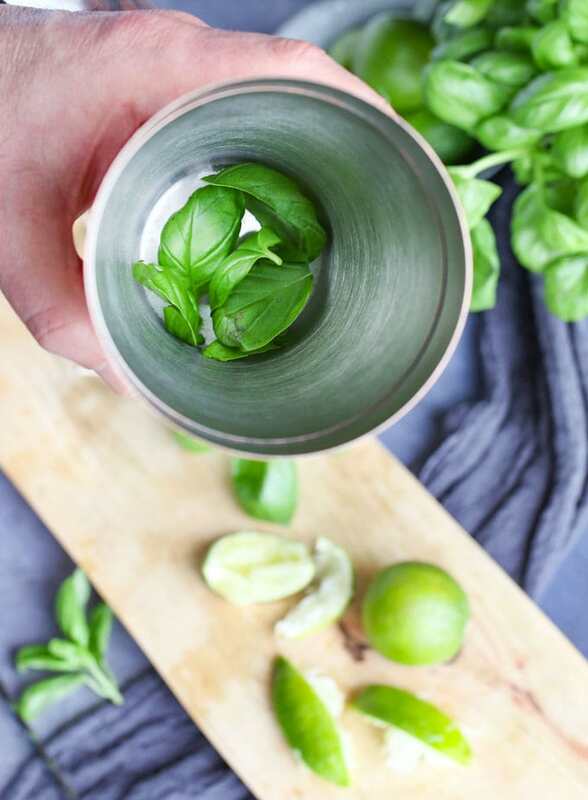 In this recipe, I am adding basil which introduces a new, refreshing flavor plus the opportunity to feature a basil leaf as a garnish. 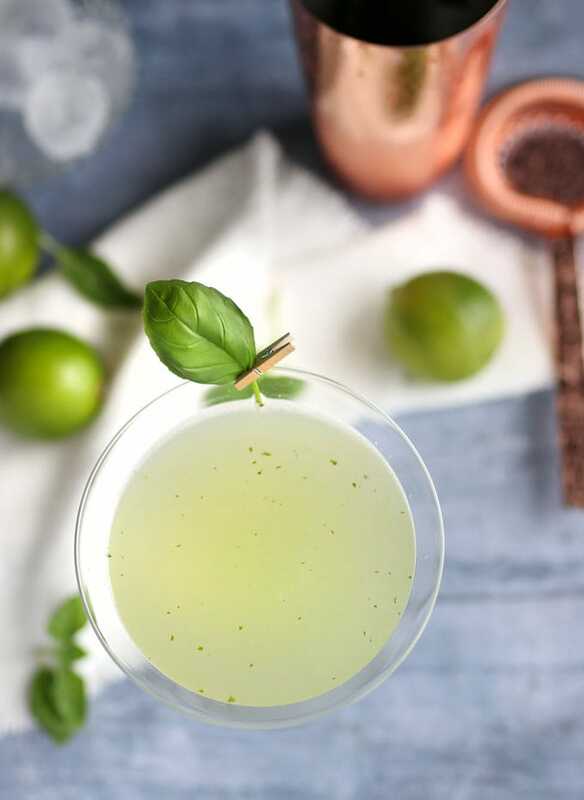 It’s an especially delicious summer drink but like most cocktails can be enjoyed in any season. Lisa and I had plans a few Friday nights back to meet at a club called George. As I was getting ready to head over she called to let me know they were having a cocktail competition and she thought I should give it a go. The competition organizers asked for a list of the ingredients in advance. 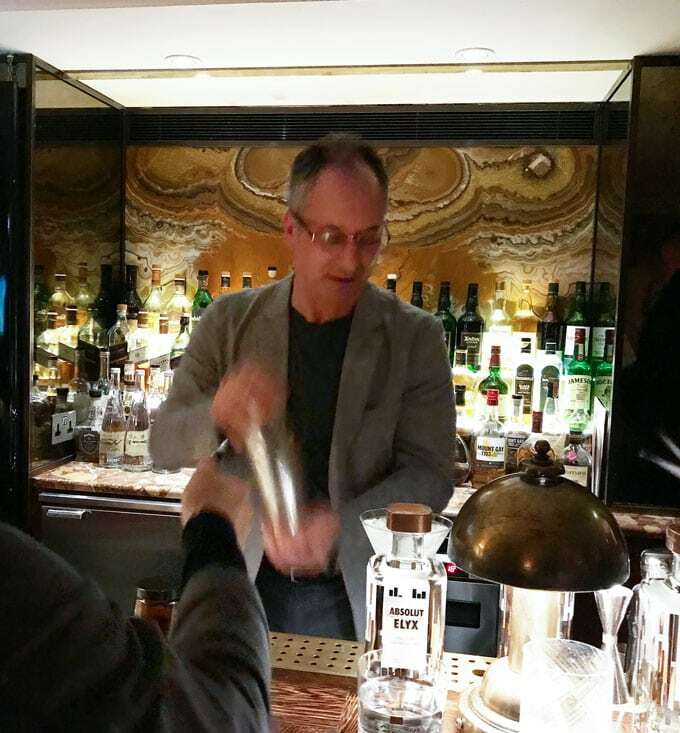 The core spirit had to be vodka since the contest was sponsored by Absolut Elyx. 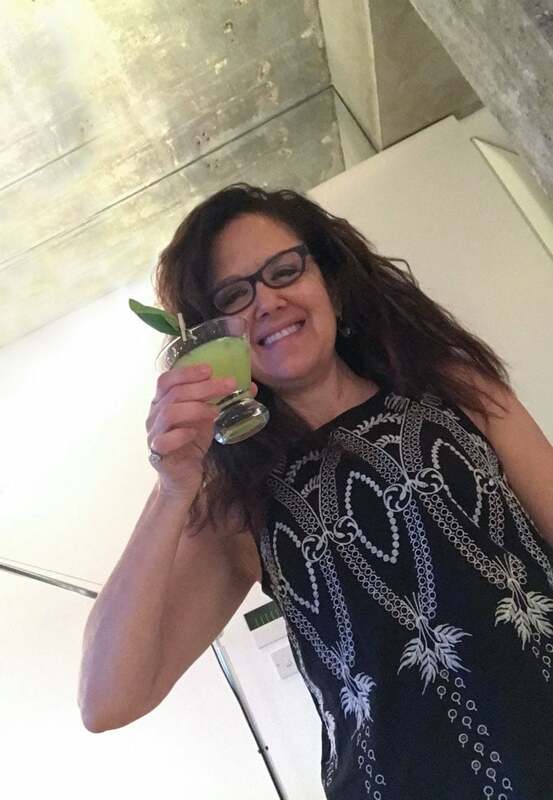 After finding out what ingredients they had on hand and talking through some options with Lisa, I opted for a basil vodka gimlet. In addition to trying to win over the judges with the heavy vodka proportion, I had a trick up my sleeve and was looking forward to trying it out. Shortly after I arrived, they announced the rules of the contest. There were five or six criteria on which the drink entries would be judged, including the name of the drink, taste, balance of the ingredients, passion of the contestant and so on. 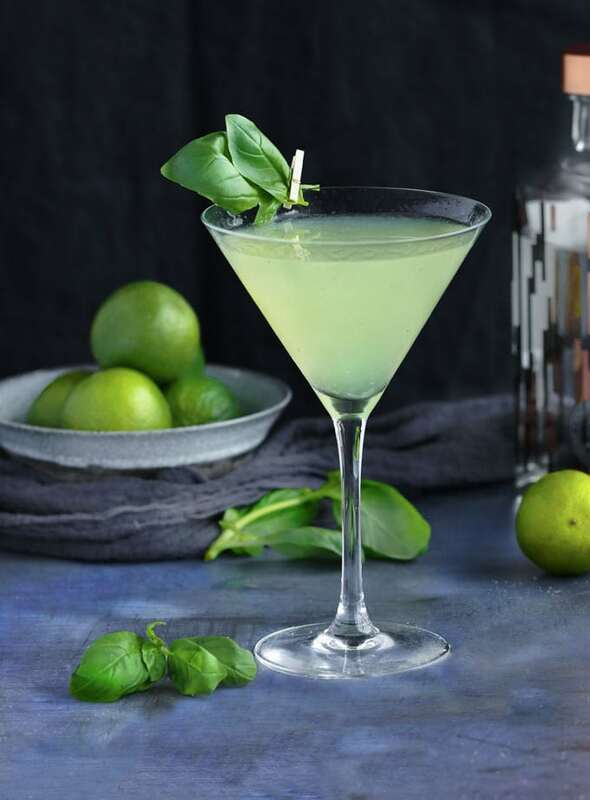 For a name, I came up with The Absolut Basil Dazzle. Including ‘Absolut’ in the name was a nod to the sponsors, who I assumed (correctly) would also be judges. For the rest of the name, it’s important for you to know that here in London, basil rhymes with dazzle. 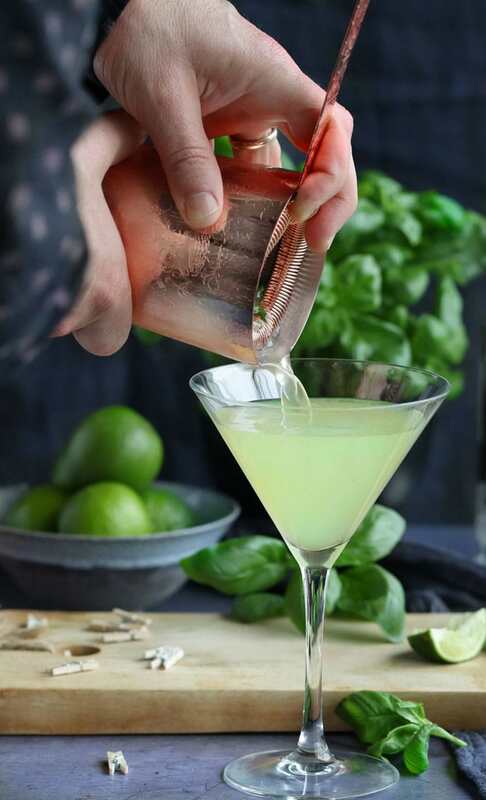 After icing down the martini glass, I muddled the basil with a small amount of sugar and some of the lime juice in the bottom of the shaker. Then I added the rest of the lime juice and the vodka along with some simple syrup and ice, shook the shaker vigorously (with “passion”), and strained the contents into the glass. Then the surprise. I pulled out of my pocket a tiny clothespin I had brought along with me and affixed a leaf of basil to the rim of the glass. The judges nearly fell off their stools. I had just ordered a bunch of these clothespins after first seeing them used in cocktails at a place called the Whistling Shop in London. I am always after new cocktail accessory ideas that add a little something extra to a drink. My basil vodka gimlet took second place, and as a prize I won the beautiful copper cocktail set pictured in this post. The winning cocktail took a very different direction, with a generous helping of cayenne pepper featuring strongly in the flavor. In truth, my drink came out a tiny bit sweeter than I had planned, as I hadn’t adequately adjusted the amount of simple syrup for the sugar I used in the muddling process. (The idea I had in adding the sugar was that its grit would possibly enhance muddling effectiveness.) The recipe below eliminates the sugar entirely. The sweetness is now as it should be and it turns out the muddling works fine without the sugar. The Basil Vodka Gimlet or The Basil Dazzle, as we usually call it, has become Lisa’s new favorite cocktail. We bought a basil plant and we water it faithfully to keep up with demand. 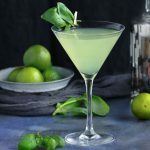 Here’s the recipe for making a Basil Vodka Gimlet and if you try it out please come back and leave a comment. Love vodka gimlets! Addition of basil is brilliant, and the tiny clothespin! 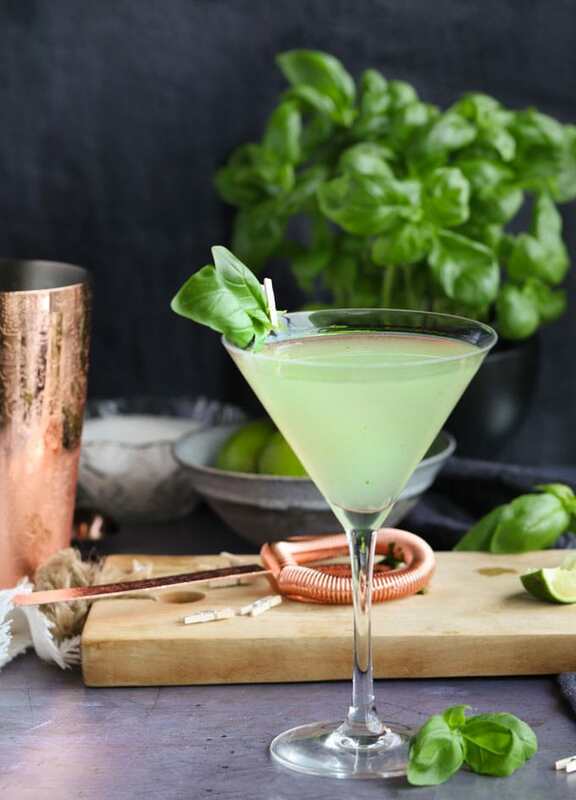 I’m never sure how to get things, like a basil leaf, that can’t be skewered into a drink without losing them. Whoever originated that idea was a genius. Thanks for all the good things! Omg Lisa, you are one lucky lady! This looks delightful and I can’t wait to try it. I do feel lucky. 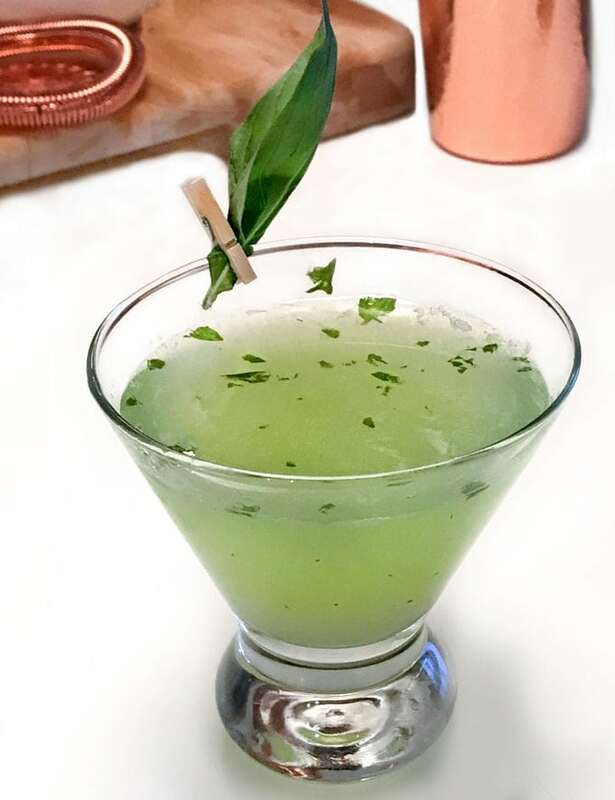 I have an in-house bartender who knows how to make my favorite cocktail 🙂 I hope you love the Basil Dazzle as much as I do! THIS will be my cocktail for the summer! Thanks, it’s perfect for a chef in Florida! !